A trendy graduation cake design that's bursting with color and energy! 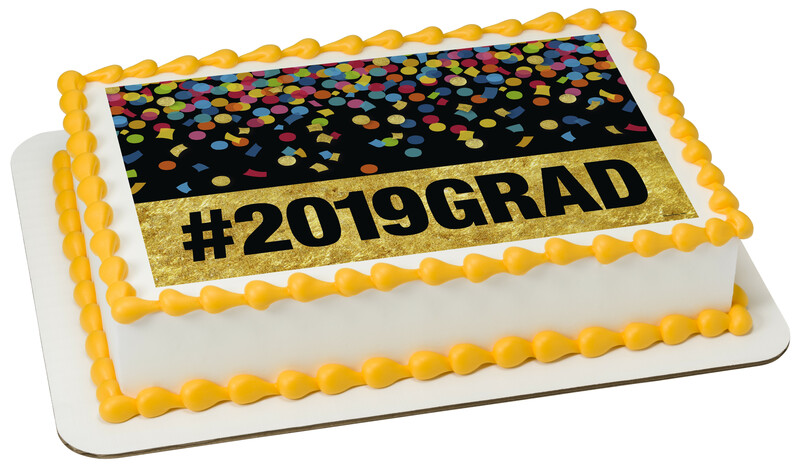 On this Edible Image® Printed by PhotoCake®, confetti drizzles over golden banner, wishing them the best in an electrifying way. Order and personalize your cake today.